“Stephen Ruttle QC is “superb, one of the best mediators in the country, and a really lovely human being”. “One of the world’s most pre-eminent disputes specialists”. Stephen has been in practice at Brick Court Chambers since 1978. He stopped practising as a barrister and QC in 2002 and since then has worked full time as a Commercial Mediator. By January 2019 he had mediated nearly 1500 cases of nearly every legal type from both public and private sectors. Most of these disputes have involved seven or eight figure sums; but Stephen regularly mediates larger cases where hundreds of millions and occasionally billions are at stake. He practises mainly in London, but mediates regularly in other parts of the UK and Ireland and in many jurisdictions abroad. For many years he has been rated as one of the leading mediators in the UK. In 2017 he featured in a new list, Who’s Who Legal “Thought Leaders: Mediation” as one of only five in Europe and 16 in the world. Stephen is increasingly active as a mediator of community and faith-based disputes. He is currently involved in projects that aim to train a new generation of peacemakers and to use faith-group buildings as places from which community mediation services can operate as neighbourhood reconciliation centres. 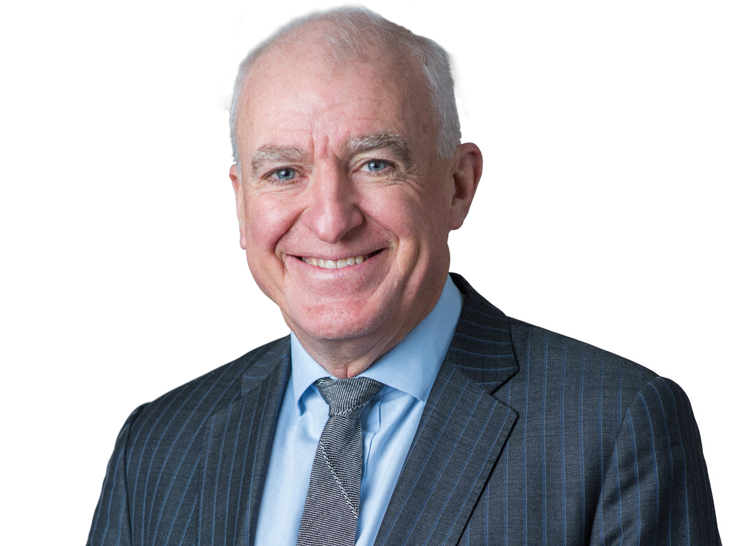 In 2018 Legal 500 included Stephen in its Mediator Hall of Fame which recognises individuals who have received constant praise by their clients for continued excellence over many years. For the last 15 years Stephen has consistently featured as one of the Top 10 and Tier 1 Commercial Mediators practising in the United Kingdom; and for four of the last five years Who’s Who Legal has rated him as among the top ten/ top sixteen in the world. Initially the bulk of the disputes that Stephen mediated stemmed from the shipping, insurance and reinsurance markets which were his areas of expertise as Counsel. He still mediates more maritime disputes than any other particular class of dispute and has probably mediated most of the larger shipping disputes that have come to mediation in the last ten years or so. However his practice as a mediator has spread very widely over the years and the disputes that he now mediates come from all areas of practice comprising all types of legal problems apart from technical family law disputes. In reality his expertise is now as a mediator rather than as a mediator of a particular sort of case. Typically he mediates two or three days a week; but save in exceptional circumstances will not mediate separate disputes“back-to-back”. The sums of money in issue have ranged from a few thousand pounds to as much as £4 billion but are typically in the millions. A large proportion of the work he mediates is international in nature and many disputes involve parties who are not based in the UK. Most of his mediations take place in London, but he regularly mediates elsewhere in the United Kingdom and Ireland, and has mediated in the United States, Greece, the Gulf, the Caribbean and Hong Kong and has been put forward as a mediator for disputes in many other world-wide jurisdictions. He has mediated a number of sensitive, high profile Governmental disputes. Along with many other Commercial mediators he has noticed a trend in the last few years for an increasing proportion of those disputes that do settle (about 80% in his experience) to settle after the mediation day. This frequently involves extensive on-going contact between himself, the parties and their legal advisers. In all larger disputes that he now mediates his strong preference is for an initial meeting between himself and the legal advisers at the very beginning of the mediation process in the course of which agreement can be reached about the “shape” of the mediation and the detailed process to be employed. Stephen regularly speaks, presents and lectures on mediation both in the UK and worldwide. He has been involved as a trainer on mediation and mediation-awareness courses. Since about 2000 Stephen has been heavily involved with community mediation. He is Chair of Trustees of Wandsworth Mediation Service (“WMS”) a registered charity that provides community mediation services in the London Borough of Wandsworth, training local people as mediators and developing initiatives to promote peace in the community. He is currently seeking to design a pilot project aimed at developing a national network of peace centres backed by panels of mediators competent to mediate different types of legal and non legal dispute. He delivered the 2013 Roebuck lecture for the Chartered Institute of Arbitrators in which he set out his ideas on the wider social impact (and opportunities) of mediation under the title “Mediation: A Social Antibody?”. In the last 5 years or so Stephen has mediated an increasing number of disputes within his faith group, the Church. He was on the planning committee for the 2013 Faith in Conflict conference at Coventry Cathedral and is an active member of the Archbishop of Canterbury’s facilitation team. He is a member of a number of working parties and groups, including the recently established charity BIMA, the object of which is to promote mediation and peace-making initiatives more widely both within communities and within and between faith groups. He is a co-author, along with his wife Fiona and Bill Marsh, of the training programme “Waging Peace” which he is seeking to promote more widely as a means of training a new generation of peacemakers. He is heavily involved in a project that seeks to use local faith-group owned buildings as places from which community mediation services can operate at low cost as neighbourhood conflict transformation centres. The balance of his practice is as a Commercial Arbitrator. He now arbitrates primarily in international commercial disputes as well as in the insurance, reinsurance and general commercial fields regularly sitting as Sole Arbitrator or as the Chairman of the Panel. He has arbitrated many disputes subject to ICC and LCIA rules. Lecturer at numerous Insurance, Reinsurance and Mediation Seminars. Co-Author of "Insurance Brokers" section in Professional Negligence and Liability, LLP 2000. Contributor to Butterworths, "Mediators on Mediation, Leading Mediator Perspectives on the Practice of Commercial Mediation" 2005. "ADR in Business". ICC publication; Kluwer 2000. Co-Author of Chapter 9; "Better Dispute Resolution - The Development and Practice of Mediation in the United Kingdom between 1995 and 2005". Westminster School Queen’s Scholar 1966-1971. Queens’ College Cambridge 1971- 1975. B.A.Honours Degree in English Literature/Law. “Stephen Ruttle QC is in great demand for complex, cross-border and multi-party cases. He has the clout and gravitas of a high-end commercial silk, combined with great courtesy, people and communication skills”. (Legal 500 2010).